CheriB Designs: Day 10 of the 12 Days of Christmas! 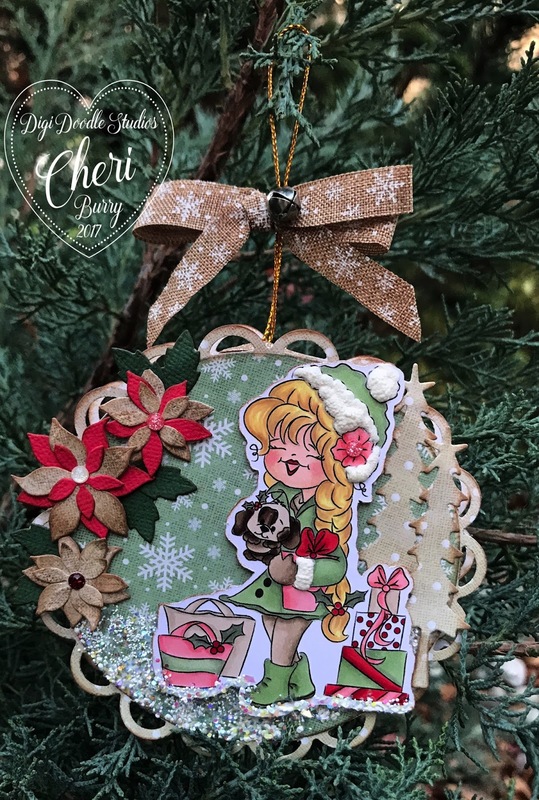 Day 10 of the 12 Days of Christmas! 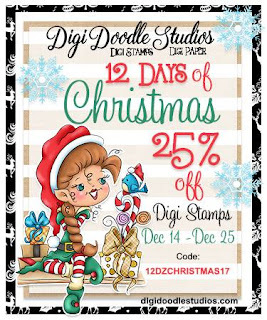 It's day 3 of the the 12 Days of Christmas over at Digi Doodle Studios! Dina has a fabulous sale going on right now! 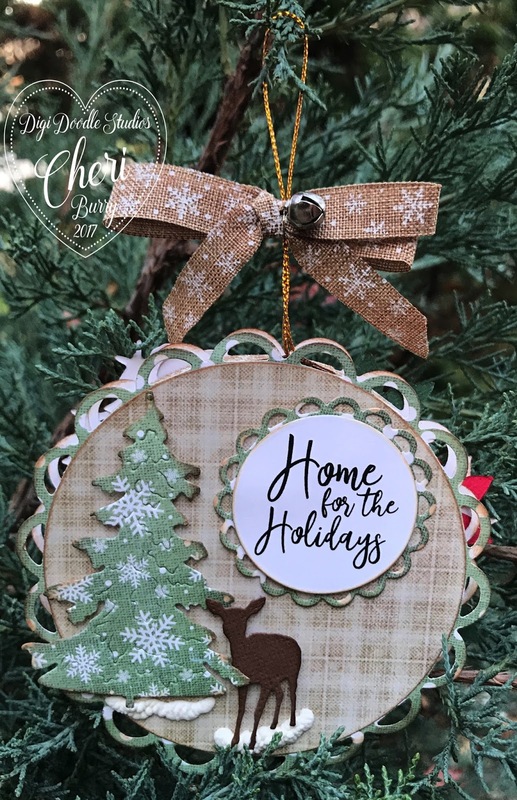 Today I want to share a cute little tree ornament I made using the Digi Doodle Studios "Ella Eve Home For the Holidays" digital stamp! 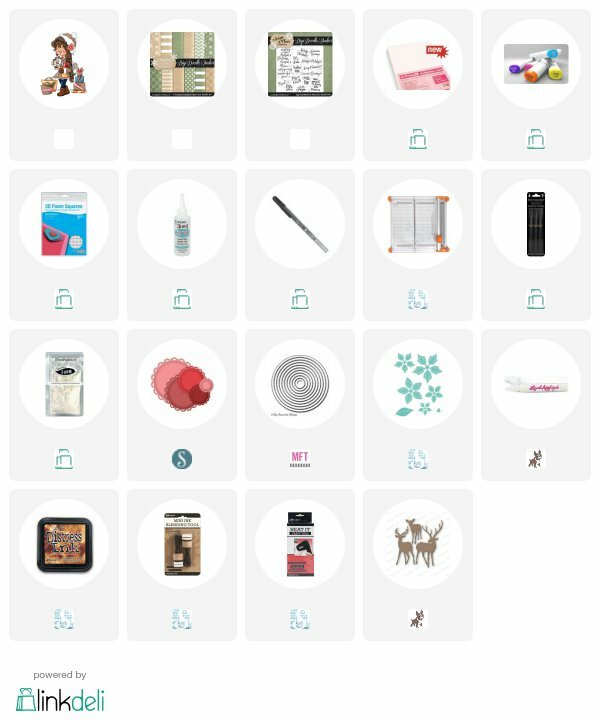 The great thing with digital stamps is that you can size them to whatever your project requires. By shrinking my image I could fit Ella onto this 3.75" cardboard ornament. I inked all the edges of my digital papers form the DDS "Christmas Eve Digital Background papers" with Distress ink in Vintage Photo. 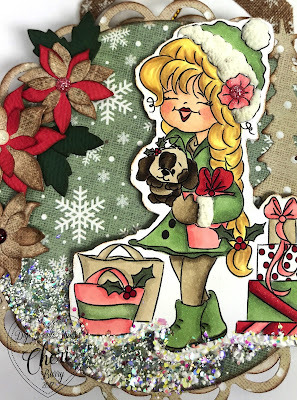 I added Some Stampendous Spoonful of Snow and melted it with my heat gun for a glittery snow effect. On the back side of the ornament I added a sentiment from the DDS"Season of Cheer Christmas Holiday" set. Some Liquid Appliqué for snow and a couple die cuts finish it off. This is my last post before the Holidays so I want to wish everyone a Very Merry Christmas, a Happy Holiday Season and all the best for the New Year and in 2018!